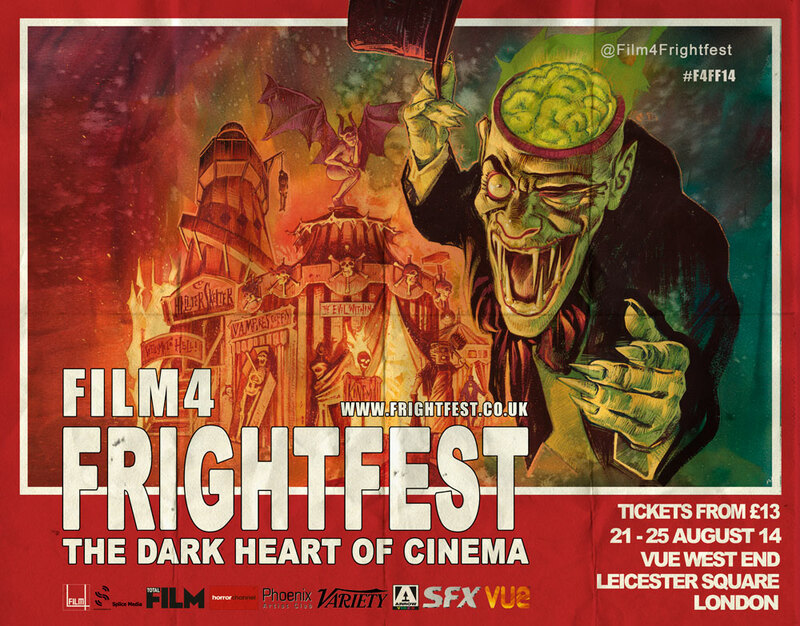 Frightfest screening twenty short films! Twenty shorts films, Twelve of them world premieres at this year’s August event at the Vue West End, Leicester Sq. Spearheading this year’s selection is the world premiere of SHOW PIECES, three tales of terror written by Alan Moore, the genius 2000 AD writer behind WATCHMEN, THE LEAGUE OF EXTRAORDINARY GENTLEMEN, FROM HELL and V FOR VENDETTA. Moore has never previously written specifically for the screen, until now. Directed by his close friend and internationally acclaimed photographer Mitch Jenkins, this interconnected trilogy kicks off with. ‘Act of Faith’ in which a young woman looking for the next step in sexual excitement unfortunately finds it. ‘Jimmy’s End’ tails a serial philanderer down a dark alley into a very unusual club where the top-billed attraction is The Bad Brides and their Danse Macabre and ‘His Heavy Heart’ reveals the horrifying price paid for his adultery. We’re delighted to announce that Alan Moore will be attending, alongside Mitch Jenkins and some of the cast. SHOW PIECES will be screened separately in the Discovery Strand. Also attending will be Italian macbre-meister Federico Zampaglione, who has written and directed REMEMBER, a haunting apocalyptic scene of devastation seen through the eyes of a young girl. And Horror Channel’s Emily Booth presents SELKIE, which she has written, produced and stars in as a captured sea-creature out for revenge. Her brother, Simon Booth, directs. Other highlights include ABDULLAH, Evrim Ersoy’s darkly-mesmerising portrait of a Turkish London taxi-driver and VIBES, a deliciously nasty take on infidelity by the Spanish Guis brothers. Paul McEvoy, Co-director of FrightFest said today: “This year’s crop of Film4 FrightFest short films is the biggest and best line-up we have ever had. We are thrilled to be showcasing an outstanding programme of worldwide talent both in front of and behind the camera including many well-known names and an enormous array of new and exciting talent. Making the final selection from the many hundreds of submissions received was a mammoth task which myself and my short film programming partner Shelagh Rowan-Legg attacked with gusto and we are excited to unleash so many beautiful gems to the FrightFest audience. Covering everything from SF / horror / thriller and so much more we feel the selections will delight, shock and astound”.